Humans have collaborated throughout history, but social media tools like Facebook and Twitter make expanding collaborative networks easier and faster. People are natural collaborators. Organizations that are familiar with the latest social networking tools can reap the fullest benefits of collaboration. Social networking is not new. 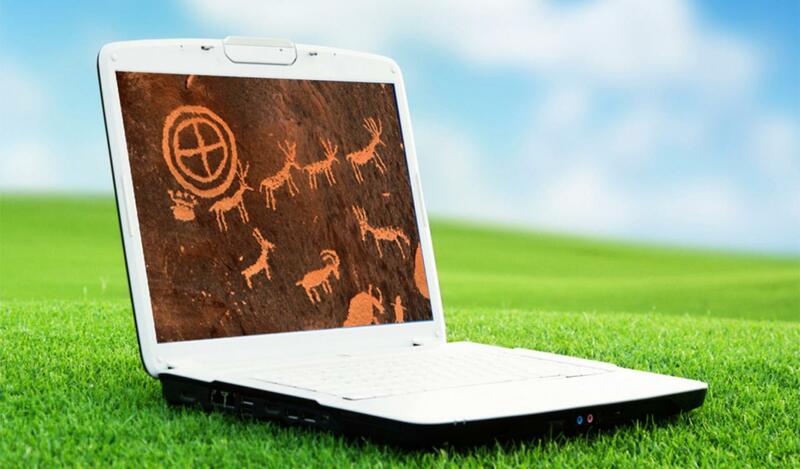 You might even consider cave drawings to be among the first social networking tools. Mammals all use social networks to survive. The only thing new about social networking is the set of tools we're using to capture and augment these skills. Everyone who has told stories, dated, dealt with customers, or worked on a team has used social networking "soft skills." It is no surprise that tools such as YouTube (storytelling), Match.com (dating), LinkedIn (career networking), and Facebook (community building) have evolved to augment our communication tasks. With the emergence of these new tools to mediate ancient forms of communication, and with increasing economic incentives to allow for effective collaboration without physical collocation, it's no surprise that businesses are clamoring to find the best ways to take advantage of these tools. However, despite the fact that government agencies and businesses recognize the power of social networking tools to increase productivity, it can be difficult taking advantage of them. The variety of tools that are available, the differences in the capabilities supported by these tools, and the murky and often dynamic waters surrounding issues like data ownership, security, and typical user base can make it difficult for people without expertise in this domain to develop an effective social networking strategy. In an effort to address these issues, MITRE focuses on bringing together expertise from a variety of areas, including individuals with social media development expertise, organizational change management experts, information assurance teams, and others. Bringing these experts together from the outset makes it much easier to ensure that these concerns are addressed. MITRE is frequently asked by sponsors: "Help us build sites that let our employees better collaborate." When the sponsors describe what capabilities they want these sites to have, they describe functions commonly found on Facebook or YouTube. They're usually shocked when we then suggest that they use what are generally thought of as recreational sites. But rather than reinventing the wheel, we need to encourage sponsors to make use of what's authorized, available, popular, and evolving. Another challenge that many organizations face is to understand the way that the corporate culture may need to change in order to really capitalize on the use of these tools. One common misconception is that allowing employee access to external social networks is always a bad practice. In reality, allowing employees access to both their corporate internal as well as external professional and social contacts can provide a very valuable source of work-relevant information. The main goal should not be to find the most effective ways to limit access, but rather to train the staff about what uses of social networking tools are appropriate in the workplace. For example, when I attend large meetings, I'm often asked questions such as, "What technologies should America invest in for the future of health care?" I immediately post the question to my Twitter and Facebook accounts. By the time I've finished exchanging pleasantries with my fellow attendees, I usually have 1020 social network responses to the question from MITRE employees, my old college buddies, or even people that I've never met who search for words like "health care." Some of the ideas are exceptionally creative, beyond anything I would suggest. Social networking tools allow you to capitalize not only on an individual's expertise, but a network's expertise. Wikis—Web sites that allow users to add and update content on the site—take advantage of this "network expertise" to build vast and reliable data repositories. The U.S. Army has found that it takes too long to have subject matter experts alone write their training manuals. So the Army is experimenting with "wikifying" the manuals, inviting the military community to contribute their knowledge and to review the contributions of others. MITRE is taking a two-pronged approach to research in the fast-moving world of social networking. First, MITRE human-computer interface experts, graphic designers, software developers, usability researchers, knowledge management teams, and organizational change management gurus work with sponsors to identify, modify, and, in some cases, develop tools that fit with the organization's information sharing and social networking needs. A shining example of this effort is the Tactical Ground Reporting tool, prototyped in collaboration with DARPA for use by warfighters in the field. This tool can be classified as a "mashup," integrating multiple data sources into a single, straightforward user interface. In this case, the tool brings together mapping tools with data sharing and collaboration tools to allow soldiers in the field to track, update, and rapidly share information about, for example, the location of potential improvised explosive devices or other items of interest on common patrol routes. Second, MITRE uses its own internal corporate network as a testbed for social networking tools, examining not only how they are built, but what features are most likely to be adopted and what design, interface, or functionality elements have the largest impact on user adoption. Recently, MITRE engineers have developed and tested everything from electronic phonebooks, wikis, and chat clients to Facebook-like social networking tools and applications that can be used on mobile devices like cell phones. There is also ongoing work on mechanisms designed to help improve the value extracted from shared information. There is value to be found in conducting public discourse, recording it, and linking it all together. The hard part is sifting through it all. When you have a hundred databases from different agencies linked together, a federated search sometimes returns thousands of results. Prioritizing and ranking results based on trust is challenging. MITRE is exploring the use of social networking methods to deal with this complexity. We're helping to build systems where humans collaborate in organizing the information, whether by tagging relationships, rating the reliability of data sources, or ranking the pedigree of various classification methods. The same algorithms that Amazon uses to recommend books you might like can be used to point analysts to the data they need, allowing them to more efficiently and effectively identify information that is crucial to mission success. By understanding and employing social networking tools, organizations can tap the full potential in the ancient human ability to collaborate.